Researchers find that having extended nightly sleep can increase daytime alertness and reduces pain sensitivity. Sleep is a very important regular activity for the body. This is the time when the body gets some rest from physical activity while the internal systems starts to "clean up". Healthy sleep contributes to a lot of positive factors. Various studies on sleep shows that it can relieve the person from emotional stress, it can aid in healtyh weight loss, and it can even improve the body's insulin resistance for diabetics. There are two types of sleep. REM (Rapid Eye Movement) sleep and and NREM (Non-Rapid Eye Movement) sleep. But aside from the two type of sleep, there are also five stages of sleep. These five stages are characterized by the production of waves by the brain starting with beta waves. As one goes deeper into sleep, the brain starts producing other waves such as delta waves and theta waves. The first stage of sleep marking the beginning of the sleep cycle lasts about five to ten minutes. 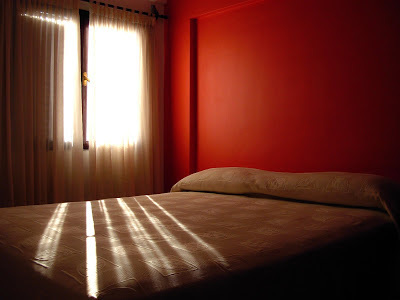 It is light sleep that connects wakefulness and sleep. During this time, the brain produces slow waves with high amplitude called theta waves. The second stage of sleep is marked by the brain producing rapid, rhythmic brain activity called sleep spindles. The duration of this stage is about twenty minutes and is the time when the body temperature and heart rate begins to slow down. During the third stage, the brain starts producing deep and slow delta waves. This marks the transition between light sleep and very deep sleep. The fourth stage of sleep is known as the delta sleep. Just like the third stage, delta waves are produced but the person is in a deep sleep that lasts for thirty minutes. The last stage of sleep is when REM sleep happens. It is characterized by eye movement, increased respiration rate and increased brain activity. The brain and body systems are active but the muscular system is relaxed. This is also the stage when dreams start to occur. The stages of sleep does not happen in order. The sequence starts from the first stage to the fourth stage. But afterwards, it cycles back to the second stage until the person goes into REM sleep. After a few minutes, the sleep cycle then goes back to stage two. REM sleep occurs for about 90 minutes in total.